The delivery of the new 2018/2019 catalogue is right around the corner, and inside you’ll find all sorts of new products that you won’t want to pass up. 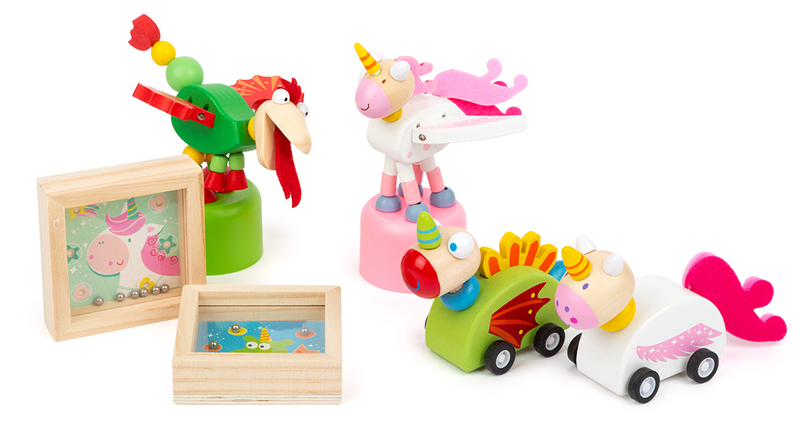 In addition expansions to our „Move It!“, „Sound“ and „Educate“ product lines, there are the success-oriented „Junge“ product line and high-quality wooden toys from the popular license SESAME STREET at the starting line. These new products are sure to bring more power for your business. The world stars of SESAME STREET have moved in with Legler. With us as a licence partner, you can look forward to exclusive top-sellers such as pull-back products, puzzles and stacking cubes as well as motor skills products and role-playing products in SESAME STREET designs. Mythical creatures, magic and fantasy products belong in every assortment! In addition to new balance bikes, costumes and plush products in unicorn designs, the products of the new product line “Luna the Unicorn and Merlin the Dragon” are the new stars of the low-priced product segment! Our new wooden Candy threading bead sets set the scene perfectly for the new “Candy & Cupcake” trend. 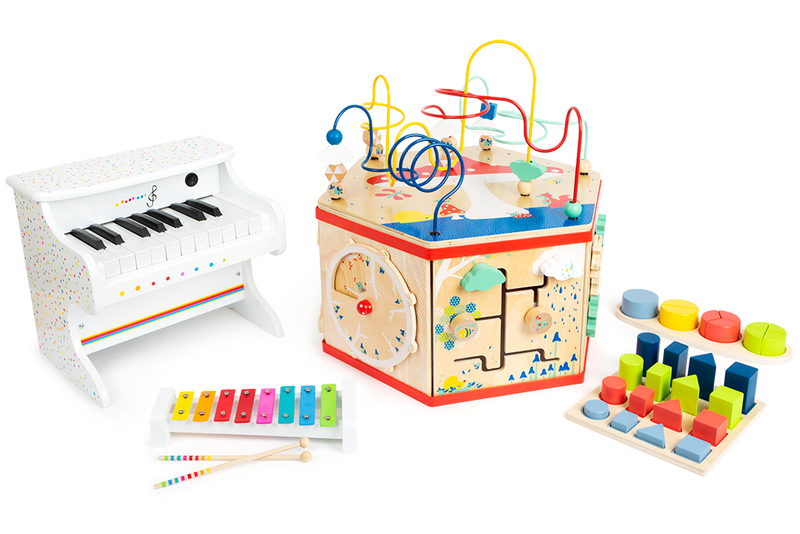 A new large motor skills cube, a melodious electronic wooden piano and challenging puzzles for (pre-)school-aged children are just a few examples of the expansions to our “Move it!”, “Sound” and “Educate” successful small foot series. 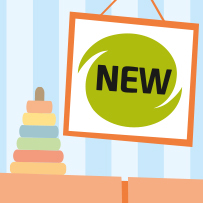 And there are even great new outdoor products from The Very Hungry Caterpillar to discover! 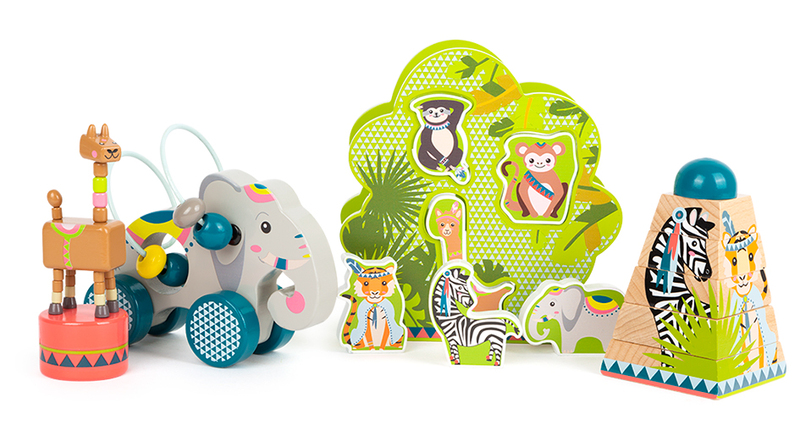 The new product group “Jungle” is bringing the wilderness directly into the children’s room with lots of exciting motor skills products and puzzles. It’s a green light for the giraffe, the elephant, the zebra and their pals. Wood – nature couldn’t have created a better material for playing and learning! For this reason, we’re expanding our assortment with even more construction sets and toy vehicles made of wood to provide even more playtime and learning fun for the youngest kids. With our new foldable sleds made of wood and aluminium, you’ll make your assortment fit for the winter and the coming snowy fun! But act now – don’t order too late! Have we aroused your curiosity? Then make an appointment here for the Autumn Fair in Birmingham and discover our new products!